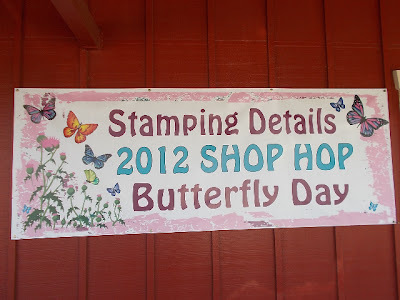 Life at Stamping Details: Butterflies are FLYING! 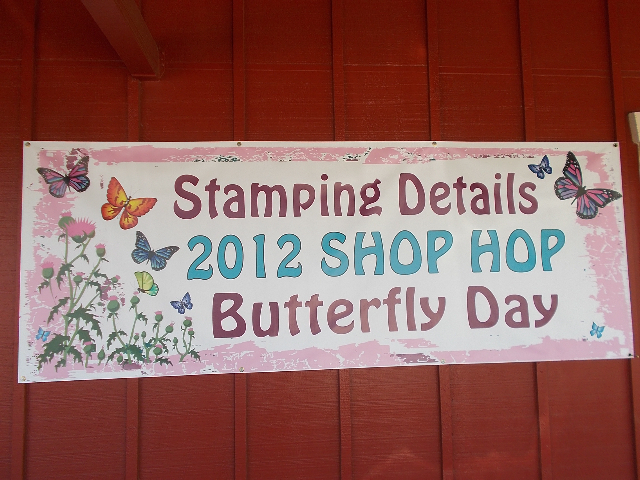 So Cal Shop Hop 2012! 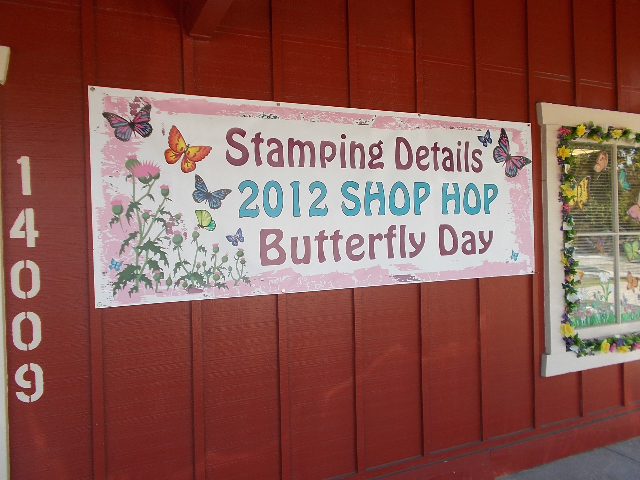 Look at the butterflies that are flying about at Stamping Details! We are celebrating Butterfly Day here for the So Cal Shop Hop! 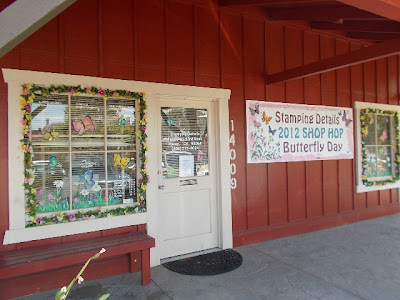 It is a chance to shop at some some of the best Scrapbooking and Stamping stores in Southern California including STAMPING DETAILS, receive great discount, enjoy specialty themed Make N’ Takes, collect pins/buttons for your new cute purse-like bag and have a ton of fun. As you hop to the various stores, have your “Passport” stamped. If you visit enough stores, you’ll be entered into a drawing for great prizes. Stop by to join in all the FUN! See you at Stamping Details!